After headed back to hotel, we are continue to our next destination Kaymakli Underground City. Kaymakli Underground City, one of the largest underground cities here, said to have existed since the Hittite period. 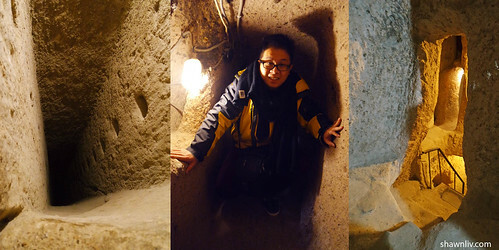 The Kaymakli Underground City has low, narrow and sloping passages. Accordingly, the underground cities built in ancient times to protect The people of Kaymakli from marauding armies and roving bands of invaders. Next stop Goreme Open Air Museum, before that make photo stops at Uchisar Castle. 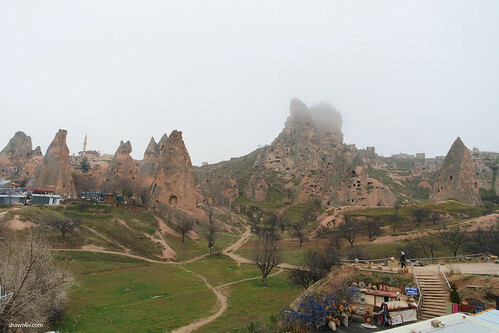 Goreme Open Air Museum, a compound comprising 29 rock–cut churches, including some that date back to the 6th century. The Goreme Open-Air Museum resembles a vast monastic complex composed of scores of refectory monasteries placed side-by-side, each with its own fantastic church. Open Air Museum is a member of UNESCO World Heritage List and more than 10 historically important cave churches here. Most of the churches in Goreme Open Air Museum belong to the 10th, 11th and 12th centuries. Lunch at Uranos Sarikaya. 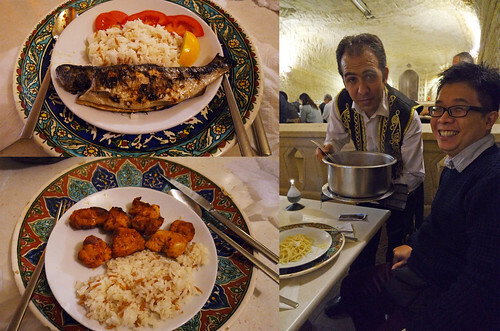 This place, carved into a mountain, It serves traditonal Turkish food and local Cappadocian cuisine. Tonight, we will going to Yasar Baba (belly and folk dance performance). They have since built up a wonderful reputation for Turkish night shows and special appearances from well-known and professional belly dancers. It’s all you can eat and drink and the entertainment is fresh and intriguing.